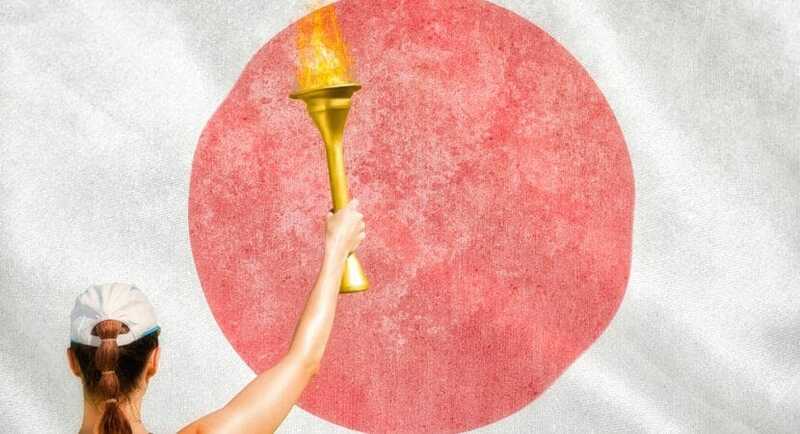 Where will you be for the 2020 Tokyo Olympics? If you’re lucky enough to be in Tokyo, expect exciting things – sport climbing, surfing, skateboarding, and karate will be making their Olympic debut. Baseball and softball will return to the games, after being dropped from the core program in 2008. And knowing the Japanese, you can be sure to expect some serious showcasing of the newest and greatest technological innovations leading up to and during the event. It’s not too early to start thinking about hotel options. While Tokyo has tons of amazing hotels, you’ll want a place that’s conveniently located, not to mention clean and comfortable. Not to worry – here are 7 of the best (and closet) hotels for the Tokyo 2020 Olympics. This list covers all types of accommodations – luxury hotels, moderately priced business hotels, and low-budget hostels. All you have to do is pick your favorite! A short 11-minute walk to the New National Stadium, luxurious Hotel Allamanda Aoyama Tokyo is the place to stay if you want to live the high life while enjoying the Olympics. Art museums, restaurants, landmarks etc. Even if you’re not going to see the Olympics, this hotel’s location would be a great choice for sightseeing in Tokyo. The all-day café and restaurant, Portofino, is on the 8th floor with an impressive view of the Aoyama neighborhood. Tempura restaurant Tensho sources their seafood and vegetables from Tsukiji Market. 3-minute walk to Allamanda Garden, a rooftop collection of restaurants/bars. Up to two children under the age of 11 get to stay for free (in the room with adults, using existing bedding). Across the street from beautiful Shinjuku Gyoen, one of Tokyo’s biggest and most popular parks, is APA Hotel Shinjuku Gyoen-mae. Well-loved for being conveniently located and reasonably priced, APA Hotel Shinjuku has a lot to offer for Tokyo Olympics fans. Pillows are small – you might want to request an extra one or bring your own! If you’re looking for a cheaper lodging option, try Hostel Pumpkey Tokyo, located in Yotsuya. It’s a neighborhood in Shinjuku that’s way less touristy than other, more bustling areas of the ward. With a hip, yet warm and cozy vibe, this design hostel is great for those traveling solo and want a more “local” experience. You’re close to the famous Yasukuni Shrine, and lush Shinjuku Gyoen – escape the hustle and bustle of the city for some peace and quiet. Looking for a fun and convenient way to get around? They rent out bicycles! Recently re-opened in August 2017, Nippon Seinenkan Hotel has an impressive 90-year history in its Shinjuku location. Baseball fans especially enjoy rooms overlooking the Jingu Baseball Stadium, and Olympics viewers will appreciate the less than 5-minute walk to the New National Stadium. For everything else, the Gaien-mae Subway stop is also 5 minutes away on foot, and popular shopping/dining areas like Omotesando, Aoyama and Harajuku are within a comfortable walking distance. But for being so convenient, the hotel isn’t right in the thick of major metropolitan areas, which is ideal for families and people who don’t like dealing with crowds. There’s a large restaurant inside the hotel, great for every meal, as well as tea time and parties. There are also several Japanese restaurants nearby. The hotel has wheelchair accessible areas. If you forget to bring something or need a quick bite to eat, there’s a Family Mart convenience store in the lobby and a supermarket down the street. If you’re looking for something different from the average hotel for your Olympics experience, this might be the place for you. Apartment Hotel Shinjuku used to be a traditional Japanese inn and was rebuilt in the early 70’s. Fortunately, the hotel retains a lot of that groovy 70’s vibe, with original red roof tiles that make it stand out from the sea of grey buildings. With a lounge space that’s open to the public (as well as hotel guests, of course), the hotel attracts all kinds of creative minds – artists, designers, and design-conscious people who enjoy staying in an eclectic, artsy atmosphere. It’s generally used as a cool space to hang out and socialize or work, but at times is used for holding galleries, workshops and other events. But even if the hotel’s aesthetics and artistic personality don’t do it for you, the location is amazingly convenient and the rates are reasonable, so it’s definitely worth checking out. The hotel is just a 10-minute to Kabuki-cho – the entertainment and red-light district of Tokyo. It’s a lively, happening place that never sleeps, and great for watching a movie, dining, drinking and making new friends. Recently renovated (February 2017), the Tokyu Stay Aoyama Premier is a popular hotel for both solo business travelers and families because of its helpful amenities and services. Located in the luxurious Aoyama neighborhood, it’s a comfortable walk to both the Gaien-mae and Omotesando subway stops. This makes it convenient for sightseeing, dining, shopping, and viewing the Olympics. Rooms are clean and are on the spacious side, and guests enjoy having deep bathtubs in the bathrooms for a relaxing hot soak at the end of the day. There are two restaurants in the hotel: A western-style breakfast buffet for 1,200 yen at Monte Azul, and a European restaurant on the second floor. Feel like staying in? There are tons of movies you can watch on demand in your room, for 1,000 yen a pop. There’s everything from classics to the latest Hollywood flicks, and movies in both English and Japanese. If you get a room with a kitchenette, you can cook your meals and have a relaxing night in. And if you just want to watch the news, CNN is available to watch 24 hours a day. Located in a quiet Akasaka neighborhood, this hotel is great for international travelers. With useful services and amenities aimed at helping people visiting from other countries, this is an easy spot to call home while staying in Japan (especially if it’s your first time!). Close to the busy, upscale Akasaka business center, as well as foreigner-friendly Roppongi with its lively nightlife, you can relax and enjoy yourself without worrying about getting around with limited Japanese language ability. Although keep in mind that some areas in Roppongi can be rowdy at night. Restaurant Ureshino offers casual farm-to-table Japanese cuisine for every meal, with a fresh salad buffet. There’s a special room designed specifically for wheelchair users and elderly guests. You can get free bottles of mineral water in the lobby. Be sure to take advantage of the rental bicycles – you can return them at a number of stations around the area. From luxury hotels to quirky little hostels, there’s a place to stay for every Olympics fan on any budget. Central to not only the Olympic games but also to great dining, shopping, sightseeing, parks, and art museums, these seven hotels won’t disappoint with their convenient locations. The Tokyo 2020 Olympics will be a thrilling, energetic time to be in an already exciting city, even if you’re not a huge sports fan. Technological innovators are hard at work, coming up with amazing new products to wow us in the lead-up to and during the Olympics. For example, Panasonic is working on a “speech bubble” translation device, Fukidashi, that looks just like a talking bubble out of a comic book – to break down language barriers and help people from around the world communicate more easily. And that’s likely just the very tip of the iceberg of what’s to come. For the best Olympics experience, it’s smart to start planning early, and finding a place to stay should be at the top of your to-do list. Which of these hotels would you like to stay in? Do you have any other recommendations for must-stay hotels? Please share with us in the comments!